Ghent University in collaboration with ePIXfab is offering a specialized course on silicon photonics. This unique course provides an opportunity to the participants to design, fabricate and test their idea by prototyping their own silicon photonics chip. This “all-in-one course” takes the participants through the complete silicon photonics design flow in a step-by-step way. The course has two parts. In the first part, the participants learn about the silicon photonics design flow. They use this knowledge to conceive a design idea and transform it into a design rule compliant layout, which is afterward fabricated by Australian Silicon Photonics. In the second part, the participants get an opportunity to characterize their design by using the measurement facilities of photonics research group at Ghent University. The scope of this course covers the silicon design methodology in complete detail. The know-how of the participants is enhanced to a level that they can easily transform their design idea into a working prototype and characterize it. The course focuses on the fundamental understanding of the many concepts in the PIC design process. While it is not intended as a training for specific design tools, it makes use of interactive Python notebooks using Luceda’s IPKISS framework. The course is specially designed for early career academic or industrial researchers and engineers who want to learn or enhance their learning about what it takes to make a working prototype in silicon photonics. June 19 – Day 1: Basic Concepts in PIC design. What is a PIC? Difference between components and circuits. Overall view of a design flow. Circuit modeling techniques. June 20 – Day 2: PDK-driven design flow. Designing circuits with standard building blocks from a Fab-provided PDK. June 22 – Day 4: Wavelength filter design. Basic filter principles. Designing arrayed waveguide gratings, echelle gratings and lattice filters. June 23 – Day 5: Verification and preparation for tape-out. Project: Make a design for actual fabrication. The course will take place as a full week in April of interactive labs. During these labs. we will cover the different aspects of the design. This should result in a simple circuit design that will be fabricated by Australian Silicon Photonics. In a 2-day follow-up session in June, the results of the fabricated design are analyzed and discussed. Fill the registration form before May 25, 2017. I graduated in engineering (applied physics) at Ghent University in June 1998. He joined the Photonics Research Group of Ghent University-IMEC for a PhD, building the design and technology foundations for IMEC’s first silicon photonics technology platform on 200mm CMOS tools. This led to collaborations with tens of partners, growing into a silicon photonics multi-project-wafer service in IMEC, eventually known as ePIXfab. To enable the design of these photonic chips, I and my colleagues develeoped the software package IPKISS, a parametric design framework for photonic circuits. 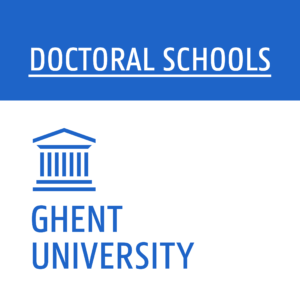 In 2010, I became Professor at Ghent University, specializing in advanced design methodologies for integrated photonics, tackling the challenges that form the design gap for silicon photonics. With the growing industrial interest in silicon photonics, this know-how became ever more relevant for a larger community. In June 2014, I co-founded Luceda Photonics, a Ghent University – IMEC- VUB spin-off to bring the IPKISS software and other advanced design tools to the rapidly growing photonics market. With Luceda Photonics successfully established in the Integrated photonics market, I returned full-time to my fundamental research interest. Since October 2016, I am again full-time at Ghent University and IMEC with a growing research activity in large-scale silicon photonics and programmable photonic circuits. On this topic I received the consolidator grant PhotonicSwarm from the European Research Council (ERC). I am a very strong adept of Agile and Lean philisophies, with a passion to apply them to the peculiar ecosystem of academic research, as well as my personal life. I am co-author of over 200 publications in the field of silicon photonics and design methodologies, including many invitations to international conferences. He holds several patents in the field of photonics and its applications. I am a member of IEEE, OSA, SPIE and the Scrum Alliance. The photonics research group of Ghent University, headed by Prof. R. Baets, is actively working on the design and fabrication of SOI and SiN-based photonic devices using standard lithographic techniques compatible with CMOS-processing. 100- members of the group are working on the various application of silicon photonics ranging from information and communication technology to sensing and life sciences. Luceda Photonics wants photonic IC engineers to enjoy the same first-time-right design experience as electronic IC designers. Luceda Photonics’ IPKISS tools and services are rooted in over 50 years of experience in photonic integrated circuit (PIC) design. 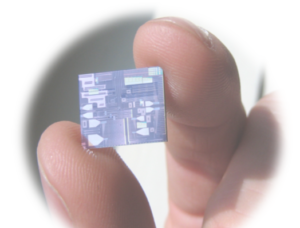 IPKISS assures that Photonic Integrated Circuit (PIC) designers have full control of their design framework to make sure that what they fabricate matches exactly how they designed it. The Australian Silicon Photonics team has been designing and fabricating integrated optics devices for more than 15 years. For the last decade, the group has focused on mass-manufacturable silicon photonics device fabrication using the leading-edge electron-beam lithography (EBL) and wafer processing equipment at the Australian National Fabrication Facility’s (ANFF) Melbourne Centre for Nanofabrication (MCN) and RMIT’s MicroNano Research Facility (MNRF). Australian Silicon Photonics has developed a capability to reliably design, fabricate and characterise Silicon Photonics devices with similar geometries as the imec SiPhotonics passives technology.